Tut tut! 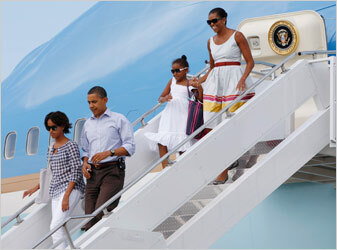 The Obama clan arrive at Martha’s Vineyard! Hurricane Bill can’t stop the first family from teaching the Vineyard how to party. Can I see a show of hand from people excited? Okay, Black people are, conservatives are not.